Custom Series amps offer two channels; Normal and Top-Boost. Each channel is equipped with its own Volume control; the Top Boost channel offers highly interactive Treble and Bass tone controls. The Tone Cut control operates in the power stage rather than the preamp stage, allowing an additional degree of tone-shaping. The Master Volume control works in conjunction with the individual volumes of each channel to create just the right degree of gain-staging. 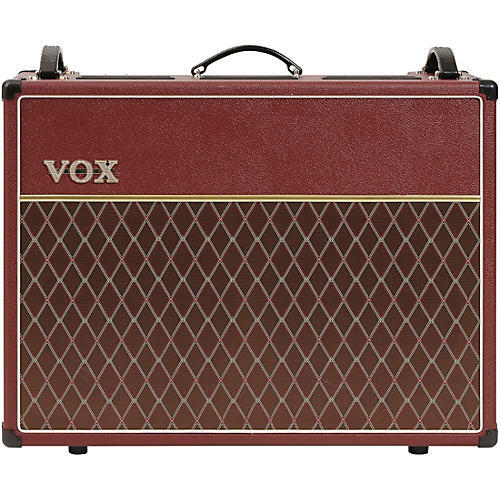 By balancing the individual and Master volumes, the Custom Series can deliver the coveted clean VOX "chimey" sound or a powerful overdriven tone—and everything in between. Dimensions: 27.64 x 10.43 x 21.89 in.